Anyone else have a crazy amount of headbands at their house? It is so hard to know how to store them. They all end up in a drawer and make a mess. Today I thought I'd share a creative way I've come up with on how to store headbands using a Headband Tower. I thought a nice "tower" would make them easier to keep track of. That way they can be seen but also have a home. I think they'll get worn more this way too. First you need a "tower". I used an empty formula can, but oatmeal containers are great too. You'll also need some sort of knit fabric with some good stretch. Measure your cans height and circumference. Cut your knit fabric in a rectangle that is the height of the can + 1/2" and the circumference of the can + 1/2". Fold fabric in half and stitch down the long side. Draw a circle around the lid onto the fabric. Cut a circle from the lid. Pin the circle to the top edge of the rectangle. Stitch the circle to one of the openings on your rectangle. 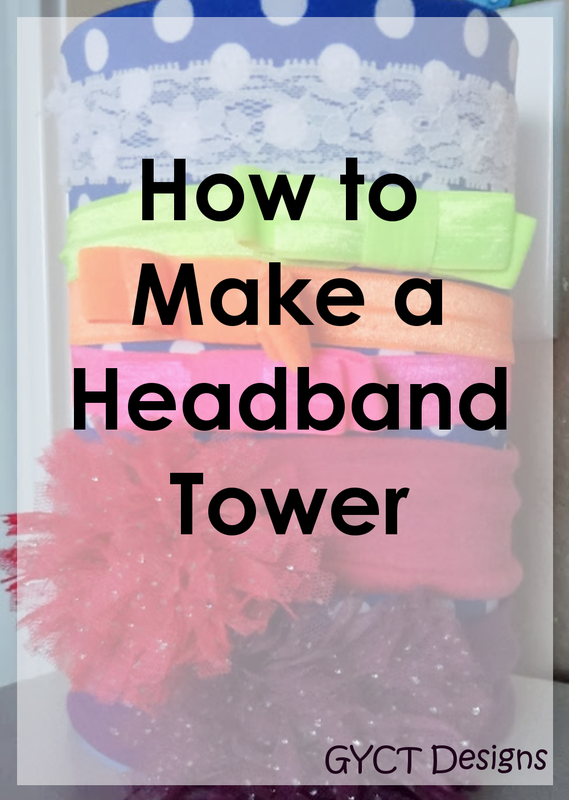 Turn your fabric right side out and place it over your tower. Voila! 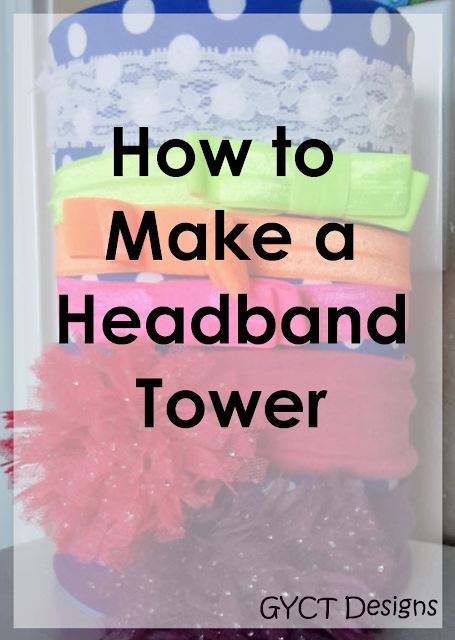 A cute and functional headband tower!